The Tigers bats went quiet, averaging just two runs per game in four game stretch prior to Sunday’s win over Chicago. They came alive in a big way yesterday, scoring nine runs on 12 hits in a 9-1 win over the Sox. The Tigers host the Yankees in Game 1 of a three game set at Comerica Park Monday, and I like the home team in this one. Alfredo Simon will toe the slab for Detroit, and he’s been very sharp so far this season. Simon (2-0, 2.03 ERA) tossed eight scoreless innings, surrendering just a pair of hits in a win at Pittsburgh his last time out. He’s coming off a fantastic 2014 campaign, and given what we’ve seen so far, there’s every reason to expect him to shine in Detroit this year. The Yankees hand the ball to C.C. Sabathia, who hasn’t missed many bats so far this season. 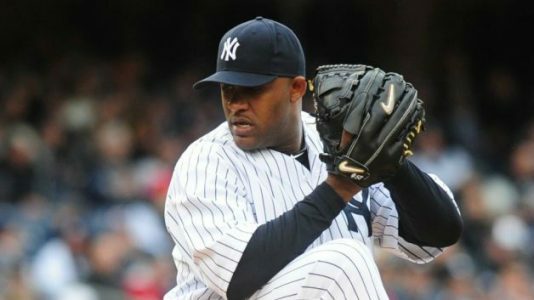 Sabathia (0-2, 5.68 ERA) has surrendered nine runs on 15 hits over 12 2/3 innings in losses to Baltimore and Toronto. The veteran has struggled to stay healthy the last few years, and he was also hit hard in the pre-season. Until I see otherwise, I have to think that Sabathia’s best days are behind him.Miguel Cabrera is hitting .345 with a pair of home runs and a dozen RBIs in 29 career at bats versus the southpaw.